Daimler's profit slumped 14 percent in the third quarter as earnings at the Mercedes-Benz unit dropped on costs to fix the emissions systems of older diesel cars. Earnings before interest and taxes declined to 3.46 billion euros ($4.1 billion) from 4.04 billion euros a year earlier, Daimler said Friday in a statement. 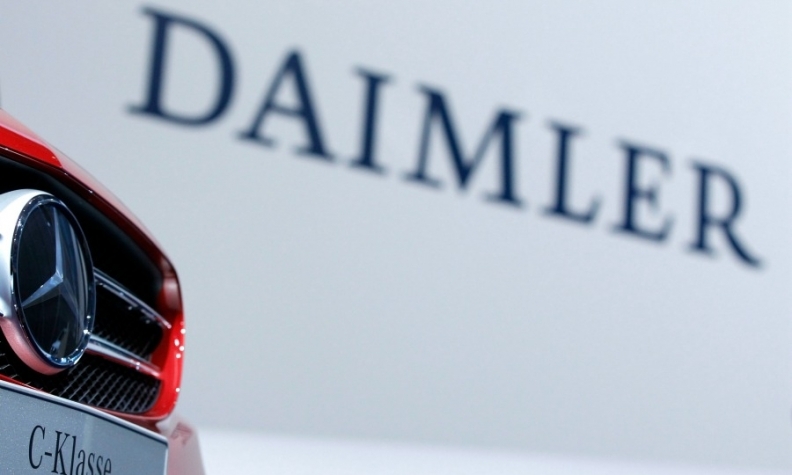 The result was Daimler's first drop in quarterly profit in more than a year. Daimler booked charges totaling 453 million euros in connection with vehicle recalls and upgrades of more than 3 million diesel vehicles over German government concerns about excess pollution from the models. Alongside the fallout from Volkswagen Group's cheating scandal, allegations of a decades-long German-auto cartel have added to burdens from the disruptive shift to electric and self-driving cars. The automaker spent 2.3 billion euros on research and development in the third quarter, 21 percent more than a year ago. Investor concerns about mastering the biggest automotive shift in decades have pushed Daimler, Volkswagen and BMW Group to the bottom four in Germany's benchmark DAX Index in terms of valuation multiples. Third-quarter deliveries of Mercedes cars rose 7.9 percent to a record 573,026 models, powered by strong demand for SUVs such as the GLA and GLC models and the E class sedan. That beats the 1.2 percent gain to 499,467 autos at rival BMW, which Mercedes last year eclipsed as the world's biggest premium automaker by sales, and the 3.6 percent rise to 471,850 cars at Volkswagen's Audi brand. Daimler, stuck to its expectation of "significantly" boosting group earnings, revenue and vehicle deliveries for the year. Through the first nine months, operating profit is up 19 percent to 11.2 billion euros. To respond to the changes sweeping the auto industry, Daimler earlier this week firmed up plans to grant its car and truck operations more independence in a move that could pave the way for spinoffs and other deals. The changes would mark its biggest corporate overhaul since the sale of Chrysler a decade ago. "Now is the right time to examine -- from a position of strength -- whether we can position ourselves even better to shape the automotive era definitively and successfully from the top," Daimler CEO Dieter Zetsche said in the statement. The restructuring comes amid signs that Mercedes's momentum is fading after an unprecedented expansion of its lineup, with the division's earnings tumbling 22 percent to 2.15 billion euros in the third quarter. Burdened by the charges, the return on sales narrowed to 9.2 percent from 11.8 percent. Excluding these costs, Mercedes's margins are around 11.1 percent and at a "very good level," Marc-Rene Tonn, an analyst at M.M. Warburg said. Diesel's troubles represent a significant risk for Mercedes. The technology, which accounted for nearly 50 percent of sales in Western Europe last year, is a key profit driver and important for reducing carbon-dioxide emissions to meet increasingly stricter environmental regulations. That's prompting Daimler and other German carmakers to accelerate the development of electric cars, which will initially be a drag on profit. Amid the ramp up, Daimler intends to slash 4 billion euros from spending by 2025 to offset weaker margins from battery-powered vehicles.